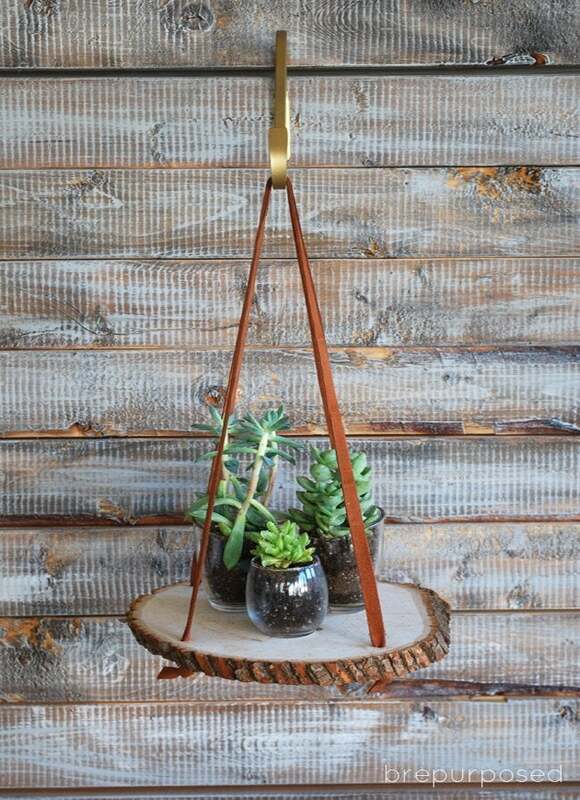 A wood slice and suede strips are all it takes to build this showstopping hanging planter that is sure to add a rustic touch to any room of the home. 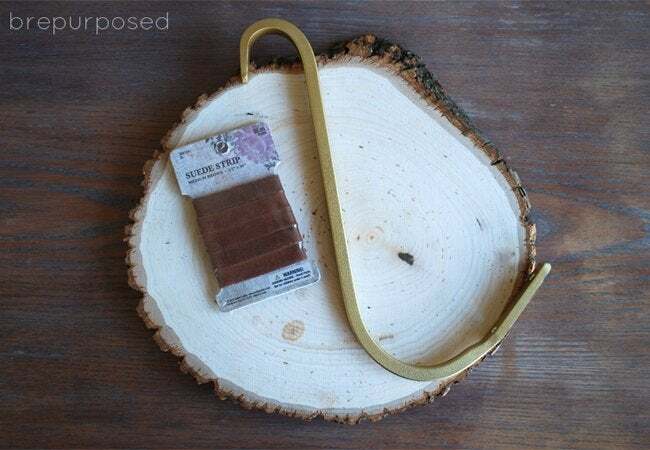 Trying to find a creative way to craft with wood slices left blogger Bre of Brepurposed in a funk. But then inspiration hit, and she came up with this inventive (and so easy!) 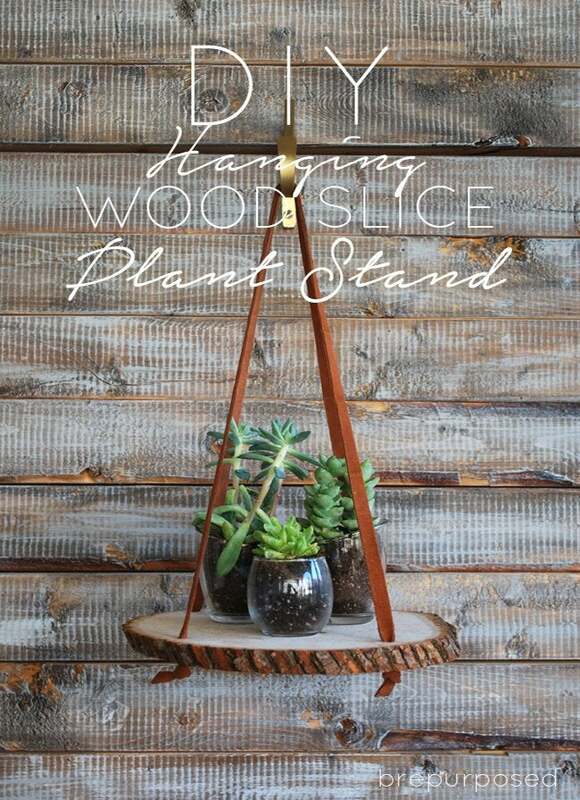 hanging plant stand that adds a classic natural touch to any space. Keep reading to learn how to fashion your own version. Start by spray-painting the bracket gold. 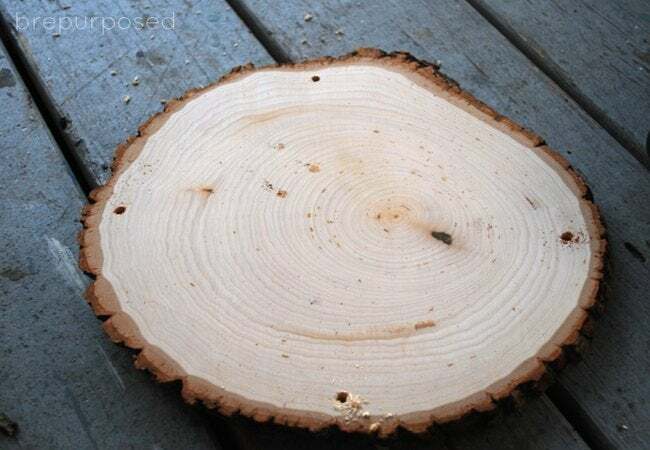 Then, drill four holes in your wood slice. Loop your suede strips through the holes and tie the knots. It takes a little trial and error to make sure they are both the same length so it hangs evenly. Slightly thicker strips of suede work best. Nail in your bracket wherever you want and hang it up! 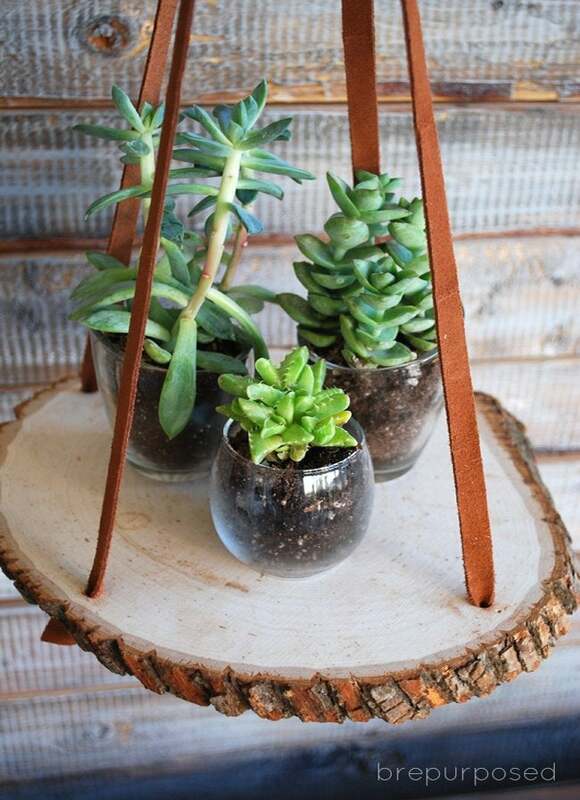 Oh, don’t forget the cute little succulents, of course. Thanks, Bre! 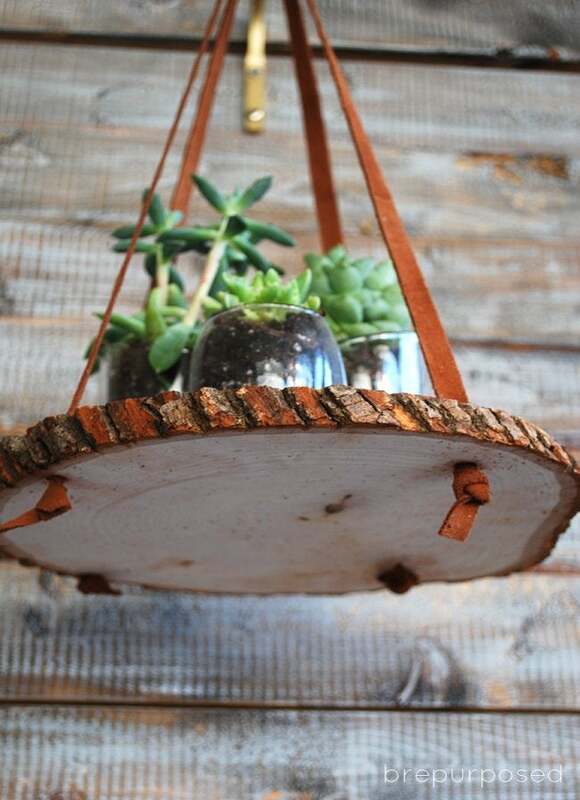 For more great repurposed projects, visit Brepurposed.